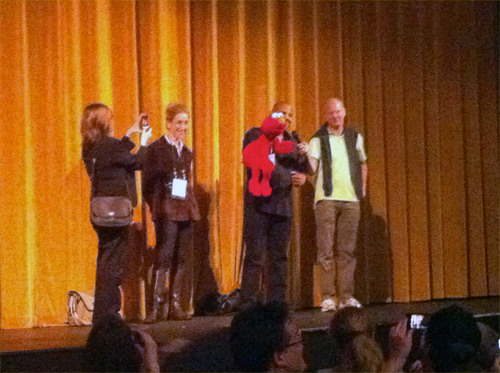 I had the pleasure of attending the opening night of the Independent Film Festival Boston 2011 this week. 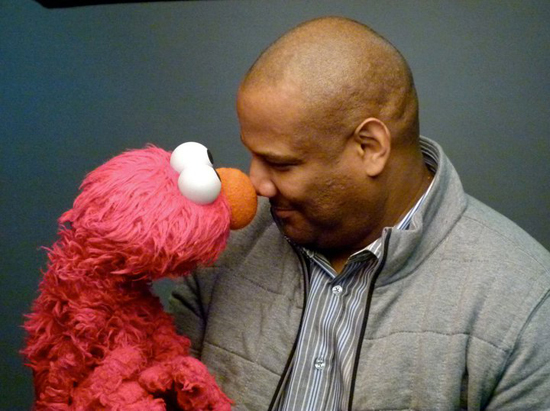 The evening featured a screening of Being Elmo, a documentary directed by Constance Marks about the life of Kevin Clash, the man who has played Elmo on Sesame Street for over 25 years. It made me smile, laugh and feel like a kid again. It even brought me to tears. And it just may be one of the best movies of the year. Kevin Clash grew up in a neighborhood outside of Baltimore in the 1960s. His life changed forever when PBS began broadcasting Jim Henson's Sesame Street—Clash found himself mesmerized by Henson's colorful creations and immediately began creating his own. And the rest, as they say, is history. He is now an executive producer on Sesame Street and travels the world bringing joy to children through a furry red Muppet named Elmo. From Labyrinth to Teenage Mutant Ninja Turtles to Tickle Me Elmo dolls, Clash has been there and done that, yet hasn't lost his passion and childlike sparkle when it comes to the characters he created. Marks' film shows us how hard Clash had to work to get to where he is, the sacrifices he had to make along the way and the ultimate success of a character that was almost scrapped completely. Of particular note in the film is the relationship Clash builds with Jim Henson. From childhood hero to mentor to friend—the stories involving Henson are among the most emotional and memorable. Anyone who grew up watching The Muppet Show and the Muppet movies is sure to connect with the reverence Clash had for this icon and the work he did. The love Clash has for his craft is precisely why Elmo has been such a success. When reinventing the character, he thought long and hard about who the character should be, and ultimately decided that Elmo should represent love, a quality and theme audiences of all ages certainly connect with. The laughter and smiles in the theater were a clear indication of the joy Elmo has spread for almost three decades with unlimited hugs and giggles. As you can see, Elmo was quite the comedian—he seriously needs to do a national standup tour! I was lucky enough to get to ask Elmo a question myself (though I didn't record it). Naturally, I asked about his experience on Top Chef: All-Stars. Elmo explained that he was a bit disappointed the chefs only made cookies for them and that he had been hoping for something a bit fancier, like moo goo gai pan. So there you have it. Straight from the source. News on Being Elmo's distributor will be announced within the next few weeks. I had a smile on my face for hours after the screening and can only hope that the film gets to as many towns and cities as possible so people can see the love and joy of this character and this man.